I love to cook in the summertime. The fresh flavors, the amazing produce, the tomatoes plucked right from the vines in my backyard, the craft cocktails to cool you down...it's all perfect. I've made a few spectacular meals the last few weeks that you might like. I've cooked meals and I've done some canning. 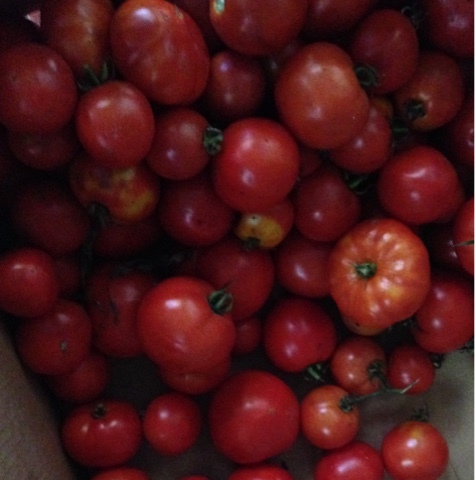 My mother brought me 3 large boxes of tomatoes from her farm and I turned those rosy reds into about 24 jars of salsa. She also brought me two buckets of fresh-scented basil that I churned into pistou (pesto w/out nuts). I will love pulling that fresh green sauce out in the winter to enjoy with crackers or over pasta; bringing summer rushing right back. One of the meal's that I had fun planning was a vegan meal for my son's girlfriend, Heather, who is vegan. On One Green Planet I found a delicious recipe for Stir Fried Brussels Sprouts with Ginger and Curry leaves. I love all those ingredients and luckily I knew Heather like brussels sprouts from a previous meal around our table. I was excited that I even had curry leaves on hand from other Thai meals. I love it when a rare ingredient like that is actually inside my cupboard already. The stir-fry was good and pretty easy to put together. 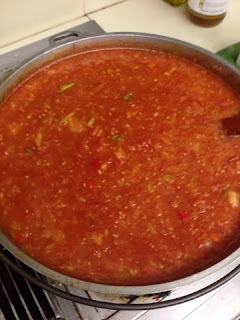 I would add more sauce next time, more tomato to keep it altogether. Groovy Girl and I experimented to make an interesting vegan dessert: donuts! 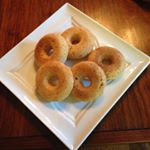 Never made donuts before-why not give them a try right before a celebratory meal! Yes, yes that's just what we did and for first-timers it turned out great. Next time we will spray the nonstick pan first. It was a fun recipe to try and they enjoyed eating them even though our second batch stuck mostly in the pan. Thankfully Tristan just poured almond milk over and ate them like cereal or in our family, just like chocolate cake. Here is our donut recipe and the sugar glaze we used for some while others we just sprinkled with a cinnamon mixture. Groovy Girl loved helping me with this meal, especially the donuts, and I think I love that she may move into being a talented sous chef for me. 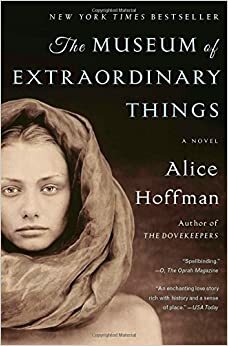 I had book club last week and we discussed Alice Hoffman's The Museum of Extraordinary Things, which we loved. I had a large amount of bell-shaped yellow tomatoes from our garden and I used them to make these little mozzarella bites. I laid my tiny skewers on a bed of fresh greens and very peppery arugula and then drizzled a balsamic/olive oil mixture over the top. Getting to book club on time is always a major feat for me so no photo exists. And we ate them all. Love that. Besides cooking I've finished my summer with voracious reading; I finished The Nest by Cynthia D'Aprix Sweeney and Chris Bohjalian's The Guest Room; both excellent reads. Where does the summer go?